At Fatyak we have a range of SUP’s and bodyboards along with our sit on top kayaks. Stand up Paddle boards are becoming increasingly popular in the UK and around the world. They are fantastic for general fitness and fun on the water. We have one SUP currently, the Samos. This is currently in production and almost finished, ready for release in 2017 – watch this space! Bodyboards are small boards that are fantastic for surfing on waves and are so easy to use that any beginner or young child can have hours of fun on them! 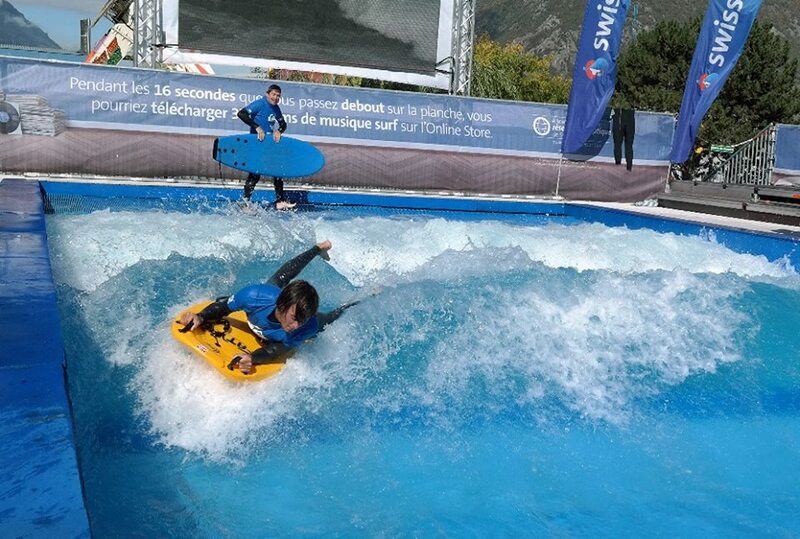 Fatyak have the tried and tested Hono multipurpose bodyboard. You can body board and knee board in the waves, jump on and have fun and its great in the snow. It’s not just for kids either! Adults can have loads of fun messing around on the slopes and in the waves. The great thing about the Hono is that it is made out of durable plastic, which won’t bend or break like regular bodyboards. As a result it will last for years! Below: A boy making the most of the waves on the Hono bodyboard.